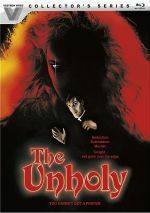 From 1988, The Unholy offers a tale of supernatural horror. In New Orleans, a series of murders targets priests and appears to stem from non-human origins. 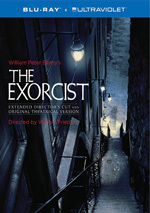 After two priests die, Father Michael (Ben Cross) takes over the parish and confronts the same issues. He finds himself confronted by a demon that adopts alluring forms to tempt – and slay – its victims. On the positive side, Unholy offers a surprisingly good cast for a genre flick of this sort. Still best-known as the co-lead in 1981’s Oscar-winning Chariots of Fire, Cross never quite became a star, but he enjoyed a long career and showed talent. With Ned Beatty, Hal Holbrook and Trevor Howard along as well, the movie boasts solid professionals, and they seem to try their hardest to make Unholy work. They mostly play things straight and add a little class to the proceedings. Unfortunately, they can’t overcome the cheese factor on display, as Unholy shows its 1980s roots at every turn. On one hand, it seems unfair to punish a movie for being a relic of its era, but on the other hand, good films overcome those pitfalls, so even when they exhibit dated qualities, they come with enough strengths to succeed. Unholy can’t do that. Mostly a tired parade of cinematic clichés, the movie never threatens to turn into anything interesting. That 80s cheese factor becomes a notable distraction, largely via Roger Bellon’s tacky score. The music uses overbearing synthesizer choices to telegraph every potential scare or emotion, and it becomes a major flaw. The movie’s pacing turns into another issue, as the story simply plods. It comes with occasional stabs at melodramatic action, but much of it sticks with blandly moody moments that don’t go anywhere. I guess Unholy deserves some credit for the fact it doesn’t just rehash The Exorcist, but that’s faint praise. The movie turns into a leaden, lifeless experience. The Unholy appears in an aspect ratio of approximately 1.85:1 on this Blu-ray Disc. This became a mostly bland presentation. Sharpness varied a fair amount. Much of the film showed reasonable accuracy, so while I’d never call it razor-sharp, but it usually offered acceptable delineation. Sporadic soft shots popped up, though, a factor exacerbated by all the interiors and nighttime scenes. No issues with shimmering or jaggies occurred, and I saw no edge haloes. The movie looked pretty grainy at times, and a smattering of small defects appeared. These remained modest and didn’t offer major distractions, though. Colors seemed bland. Unholy provided a stylized palette that favored heavy reds and blues, tones that failed to deliver much pop or range. The hues were consistently lackluster. Blacks tended to seem a little inky and flat, while shadows veered toward the dense side. This gave the movie a somewhat murky feel. A product of its era, the image seemed mediocre. As for the movie’s DTS-HD stereo soundtrack, it seemed average for its age. In terms of the soundscape, it used the side speakers to spread the score in a reasonable manner but it did little more than that. Occasional effects cropped up on the right and left – mainly via a rainstorm - but other than the music, the movie largely remained monaural. Effects fell into the same range. Outside of the supernatural bits, the track didn’t ask for much, and the elements sounded decent; they could be somewhat flat but they showed no distortion and represented the material well enough. All of this left us with a “C+” soundtrack. The Blu-ray includes a good collection of extras, and it opens with an audio commentary from director Camilo Vila. Along with moderator Nathaniel Thompson, this track offers a running, screen-specific look at the original script and rewrites, Vila’s intentions for the project and alterations, cast and performances, sets and locations, music, and related topics. For its first 45 minutes or so, we get a nice view of the film, especially as we learn about problems Vila encountered. He covers issues with producers and how the movie got taken from him. As the commentary progresses, though, it loses a lot of steam. While we still get some useful nuggets of information, these become less frequent, and Vila and Thompson tend to shoot the breeze more than discuss the film. Those factors make this an inconsistent commentary. On another track, we getIsolated Score Selections/Audio Interview with composer Roger Bellon. Conducted with Michael Felsher, the interview portion comes first and lasts about 41 minutes. Bellon discusses how he got into his career as well as aspects of his work on Unholy. The conversation proves fruitful, as Bellon gives us informative notes about his time on the film. For score buffs, the “isolated selections” adds a cherry on top, though I suspect they’d be happier with an actual full isolated score. In the same vein, we find an Audio Interview with composer/production designer/co-writer Fernando Fonseca. This also throws in selections from an unused score Fonseca wrote for the film. As with the Bellon piece, the interview appears first and runs about 15 minutes. Despite Fonseca’s work as production designer and co-writer, he only touches on his unused score, as he goes over aspects of its creation. I like these comments, but I wish Fonseca opened up to discuss his other jobs on Unholy as well. Still, he gives us worthwhile details, and it’s good to be able to get a taste of what his score sounded like. Three featurettes follow. Sins of the Father goes for 19 minutes, nine seconds and provides an interview with actor Ben Cross. He discusses aspects of the film and gives us an engaging overview of his experiences. During the 22-minute, 26-second Demons In the Flesh, we hear from makeup effects designer Jerry Macaluso, additional special effects unit effects artist Neil Gorton, and additional special effects unit art director Steve Hardie. As expected, we get insights about the creation of the movie’s monsters. “Demons” presents a tight and informative program. Next comes Prayer Offerings, an 18-minute, 35-second piece with Fonseca. He covers his involvement in the film, story/character areas, sets and design choices, and other experiences during the production. Some of this becomes redundant after the commentary, but “Prayer” acts as a fairly tight overview. The film’s Original Ending fills 15 minutes, two seconds. This isn’t radically different from the theatrical finale, though it offers a less action-oriented climax to the film. I think it works better, if just because it loses the silly “mini-demons” found in the theatrical version. We can watch the “Original Ending” with or without commentary from producer Mathew Hayden. He tells us about aspects of the production that illuminate elements of the ending. Hayden offers some useful thoughts, though he only chats for about half of the ending’s running time. After this we find a Storyboard Gallery and a Still Gallery. “Storyboard” goes for 18 minutes, 40 seconds and includes 216 images, while “Still” lasts 11 minutes, 51 seconds and provides 133 production photos and publicity elements. “Storyboard” gives us art for the theatrical ending, though the material seems more explicit and would’ve gotten the movie an “X” rating if executed faithfully. “Still” offers a decent compilation of pictures, but “Storyboard” proves more interesting. The disc finishes with some ads. We get the movie’s trailer as well as five TV Spots and two Radio Spots. If you want an involving tale of demons and the supernatural, you’ll want to look somewhere other than The Unholy. Despite a good cast, the movie fails to give us any real drama or terror. The Blu-ray offers average picture and audio along with a useful selection of bonus materials. The Unholy winds up as a dated dud.